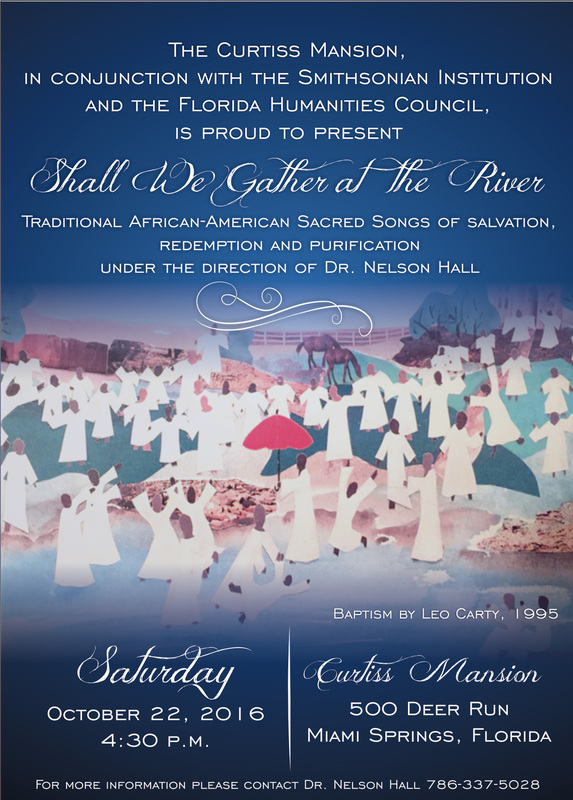 As the culminating public event for the Curtiss Mansion and Smithsonian Institution’s Water/Ways exhibit, you are invited to attend a magnificent and truly moving concert featuring songs of redemption, salvation and purification from the southern African-American spirituals tradition. Outstanding vocalists will be conducted by Florida Memorial University’s esteemed Dr. Nelson Hall. Admission and parking for this event are FREE and open to the public (donations are gratefully appreciated). Nelson Hall began his music training as a child with his father teaching him the fundamentals of music and later enrolling at the Alejandro Garcias Caturla Conservatory in Mariano, Havana, Cuba. He studied violin with first chair of the National Orguestra Symsia Bajour and later with Prof. Del Rio at the Conservatory and private piano studies with the distinguished professor Claudelina Hurtado. Following in the footsteps of his father and encouraged by Miss Teresa Mandarino, his High School music teacher, he joined the roster of conductors at the age of 14 as a freshman at Emerson Senior High School in Union City, New Jersey. He was accepted to Columbia Union College in Takoma Park, Maryland in 1972 and began his studies in Music Education with a concentration in piano. During the following years he developed his accompaniment skills by playing the piano for the voice students, being the pianist for Pro-Musica, the touring ensemble of the college and playing for church and chapel worships. Nelson Hall became a conductor himself of church choirs in the Bethesda area and started his own vocal ensemble, thus continuing to develop his skills as a conductor and music director. 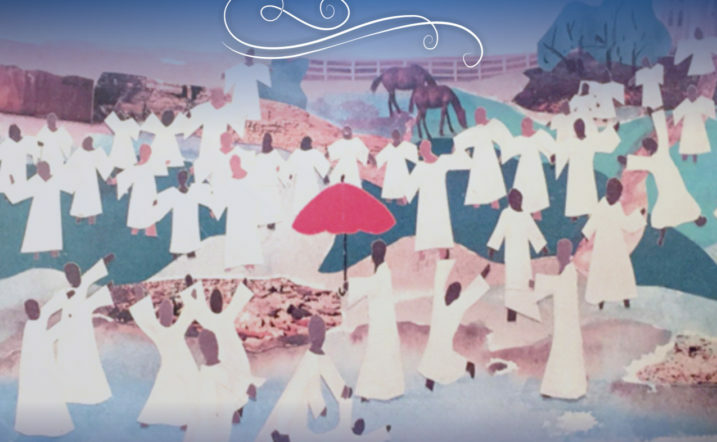 Upon graduation from Columbia Union College he received a call to Antillian College in Mayaguez, Puerto Rico where he served for 6 years as the director of choral activities and Minister of Music for the college church. This post marked the beginning of his professional teaching career and was filled with accolades for advancing the art of choral music throughout the Island and expanding the positive image of the college. While working in Puerto Rico Dr. Hall began his graduate studies at University of Miami. While on scholarship at the University of Miami, his Master of Music and Doctoral degrees were under the supervision of the renowned choral Director Dr. Lee Kjelson Director of choral activities and Dr. Donald Oglesby assistant professor of choral studies. Since the completion of his studies in 1998, Dr. Hall has dedicated himself to his post at Florida Memorial University, as Conductor of the University Chamber Singers, assistant professor of voice, piano and the core music classes for the nationally accredited music program. He continues his music ministry at the Seventh-Day Adventist, Miami Temple Church and now as newly appointed music minister of The Church of the Open Door, member of the United Church of Christ. Dr. Hall is now in his fifteenth season as Music Director of Jubilate a vocal ensemble that continues to garner national and international accolades in the USA and abroad. Through innovative and progressive programming each season with Jubilate he has fashioned a model for the next-generation music director in America. Nelson Hall’s continuing commitment to the music of the African Diaspora is a distinguishing point in his career. He has established a deep connection with African American and Latin composers, and counts among his profound musical inspirations musicians such as Conductor and Composer Maestro Alfredo Munar and Internationally acclaimed choral conductors Dr. Lee Kjelson and Dr. Andre Thomas. Similarly, Nelson Hall is in high demand as an esteemed collaborative conductor, and is the frequent partner to many of the world’s most renowned solo artists, in both vocal and instrumental fields. Nestor Torres, Bobby Macferrin, Paul Posnak, Andree Crouch, Richard Smallwood, Sandi Patti, Clifton Davis, all have made music with Nelson Hall, either in South Florida or elsewhere around the globe.